Trooper Fabian Sperry. New Zealand Expeditionary Force. Gunner Army Service Corps 1 Ammunition Company. 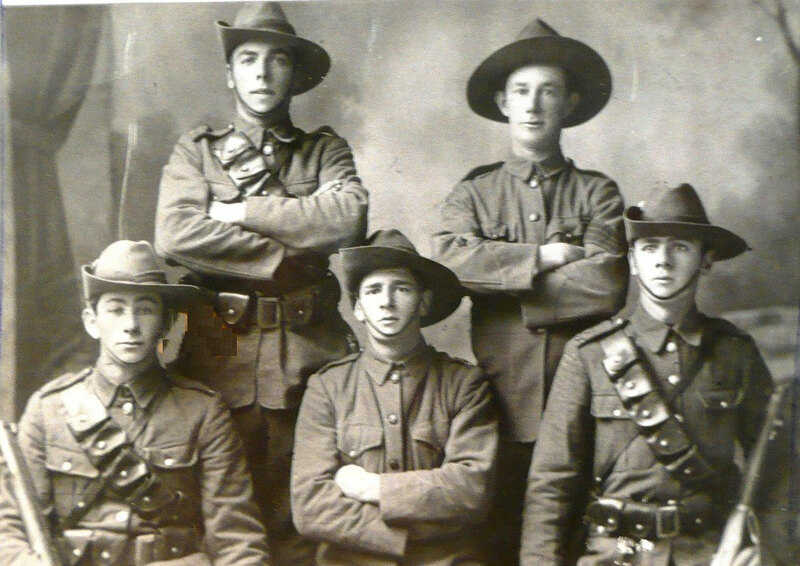 Fabian Sperry (front row right in picture) enlisted in the New Zealand Expeditionary Force on the 12th August 1914, just seven days after war was declared. He was among the first five young men from Hamilton New Zealand to go to war. They left New Zealand for service overseas on 16th October 1914. In November 1915 Sperry was wounded at Gallipoli, and admitted to The Beaufort. We have an autograph from Fabian Sperry which isn’t dated. When he returned to the war he was transferred to the artillery and fought in France. Hand written notes on his Service record show that in 1917 he was again wounded and treated for severe shell-shock. The notes indicate that his condition was exacerbated by the physical and psychological injuries he sustained in 1915. He was sent home and discharged on the 2nd October 1917: ‘No longer physically fit on account of wounds received in action.’ Fabian Sperry survived the war and was twice married. He died in February 1970.